The United States and its allies will have ways to reimpose sanctions on Iran if the Islamic Republic is caught making bombs after striking a deal to freeze its nuclear program, national security adviser Susan Rice said on Sunday. In an interview on the CBS news program “60 Minutes,” Rice rejected the idea that, once relaxed, the economic sanctions on Tehran would be hard to reinstate. Any United Nations Security Council resolution that enshrines a final nuclear deal with Iran – not the interim six-month deal signed in Geneva in November – could have triggers to automatically reimpose sanctions on Iran if they violate the deal, she said. 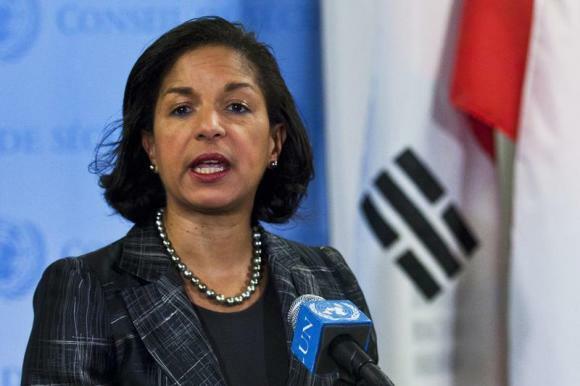 A mechanism for such “automatic triggers” has not been finalized, Rice said. Any deal beyond the current arrangement is still months away. “We don’t know. But the other half of the answer is we have every interest in testing that proposition,” she said. Under November’s interim agreement, Iran agreed to curb its nuclear program for six months in exchange for limited relief from sanctions.